Russia is urging an investigation into reports claiming that OSCE monitors knew about Georgia's increased military activity, but failed to warn of it prior to the conflict in South Ossetia. 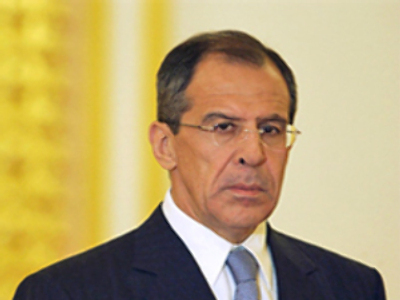 Sergey Lavrov says the issue will be brought to the attention of the group's main decision-making body, the Permanent Council in Vienna. The ministers agreed that despite the OSCE's positive influence on regulating the Caucasus conflict, its organisation should be rethought. Lavrov pointed out that the OSCE does not have the ability to stop military conflicts, which is a central problem regarding its ability to function. As far as the issue of general security and stability in the Euro-Atlantic region is concerned, Lavrov pointed out that options suitable to everyone should be sought. “A security system that does not infringe anyone's interests should be developed in Europe. We have time to consider the real – not fictional – threats to Europe and make decisions in co-operation, not unilaterally,” Lavrov said. Stubb, on his part, said he expects that many of the EU's member states will take into account President Medvedev's ideas regarding the issue when meeting in Helsinki in December. “We need to re-think what European security looks like,” he said. Stubb was also optimistic about the strengthening of the Russia-EU partnership. According to the foreign minister, economic co-operation and inter-dependency between Russia and the EU is highly beneficial for both parties. “The more of it, the better off we are,” he said.